We see Facebook’s “like” button every day on all kinds of websites. But we don’t often consider what it means: Facebook is watching you. 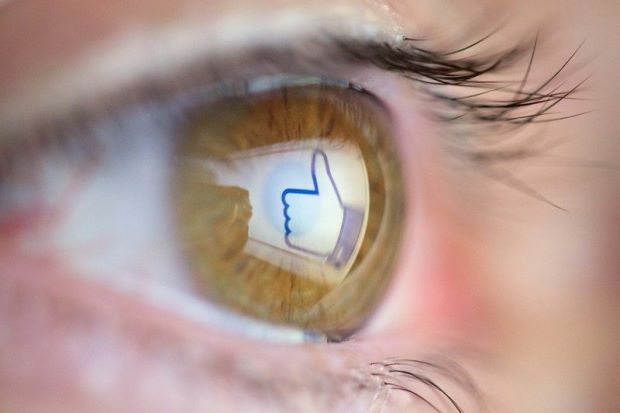 That’s because, while also being a handy way to share what you like or to follow brands and websites you’re interested in, the “like” button also functions as a tracker tool for Facebook. It tells the social media giant what kinds of websites you’re visiting, even when you’re not using Facebook, data that helps it sell more targeted ads. If you want to prevent Facebook – and other third parties – from tracking you across the web, you should install a browser extension like Privacy Badger. This add-on, developed by digital privacy NGO Electronic Frontier Foundation (EFF), runs on Chrome, Opera and Firefox. To prevent Facebook from collecting all kinds of information about you, you can also use Firefox’s Facebook Container. This will isolate your broader web activity from Facebook. But it still won’t influence which data Facebook collects from members directly using the platform. User awareness of the scale of Facebook’s data hoarding across the Internet is rising, while German competition authorities have banned Facebook from collecting data from other websites. The ban is in response to Facebook’s practice of combining data collected on third-party websites with information collected from users on its own online platform. The authority also considers Facebook-owned apps like Instagram and WhatsApp to be third-party sources. Facebook says it links data it collects elsewhere on the web with information about Facebook users in order to provide better services to users and advertisers.